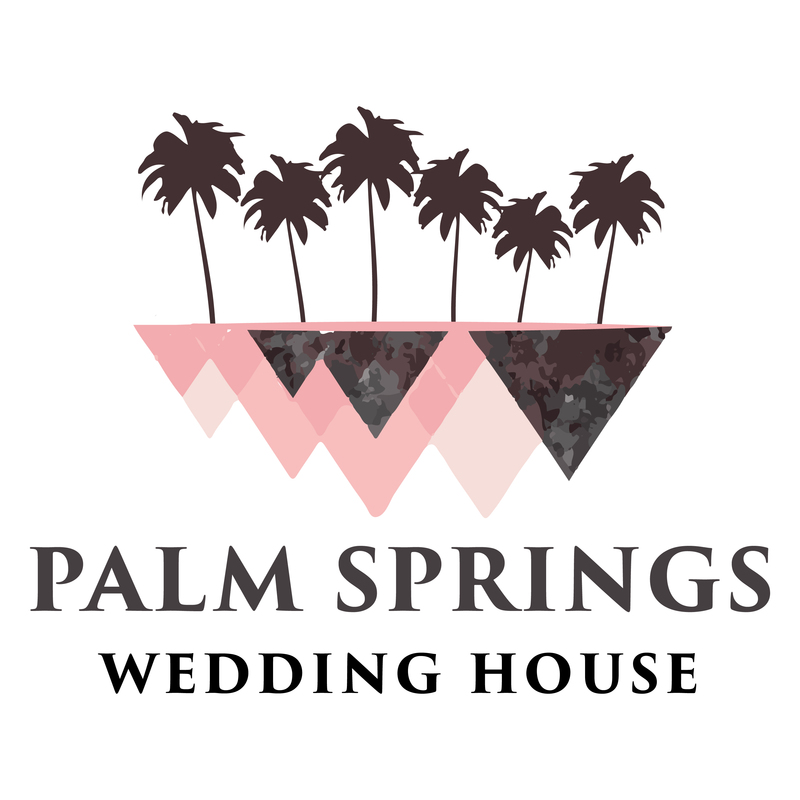 One of the things we love most about Palm Springs is that there are literally hundreds of amazing private properties available for rent to anyone looking to host a private event. 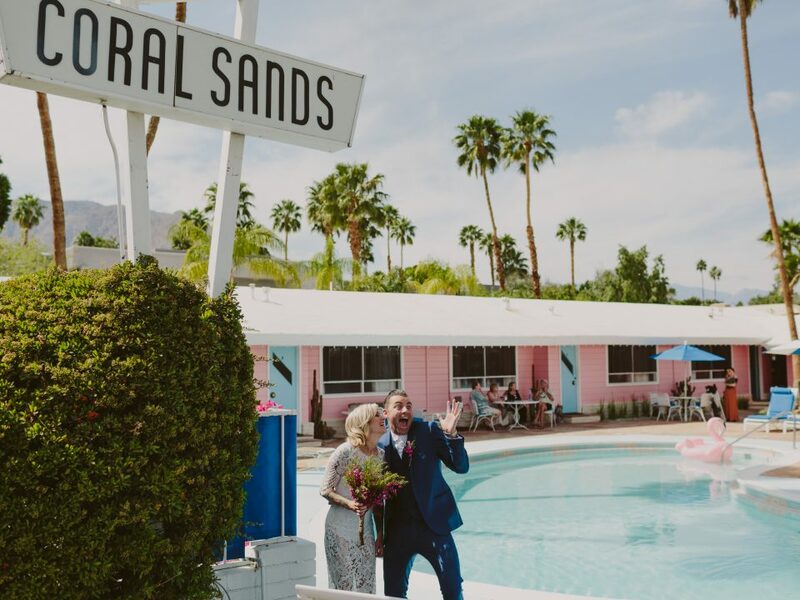 This makes Palm Springs the ideal location for a bride and groom looking to set up a small destination wedding in the desert, and that is exactly what Justin & Bethany did earlier this year! 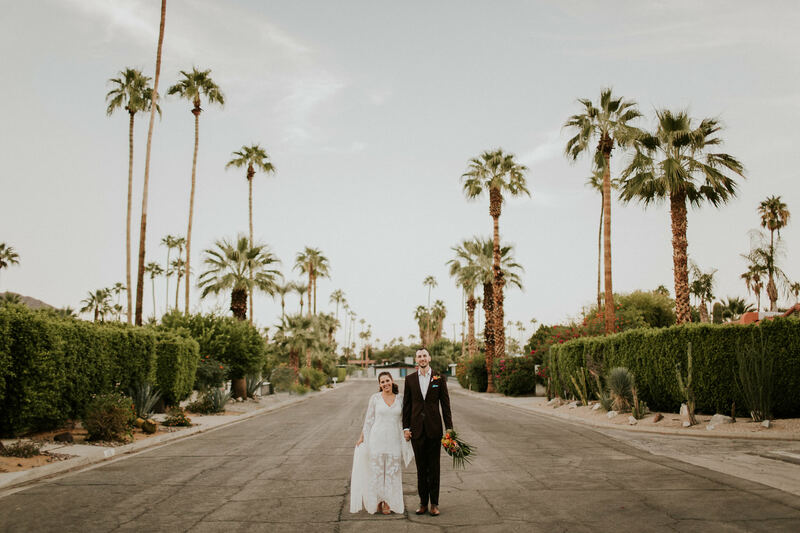 After debating between an elopement or wedding, this couple from New England opted for some warmer weather out west and a chic backyard wedding at a gorgeous private estate in Palm Springs. 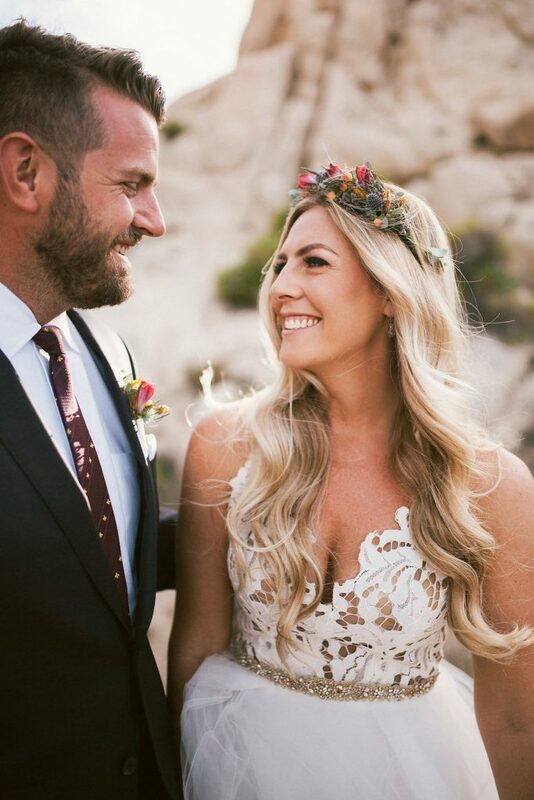 Judging by the stunning photos captured by Cambria wedding photographer Jami Laree, the bride and groom definitely made the right choice! 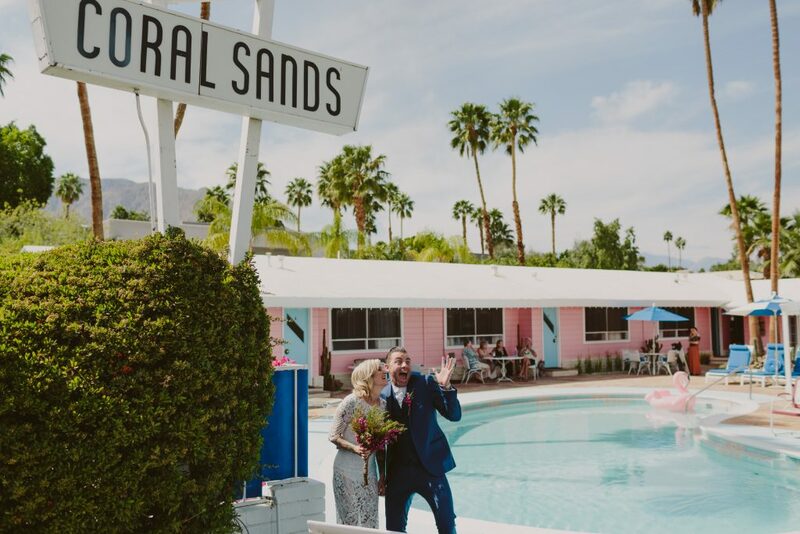 The venue was cozy+intimate, details were perfectly on point, and the native flowers added a wonderful splash of color to the setting. 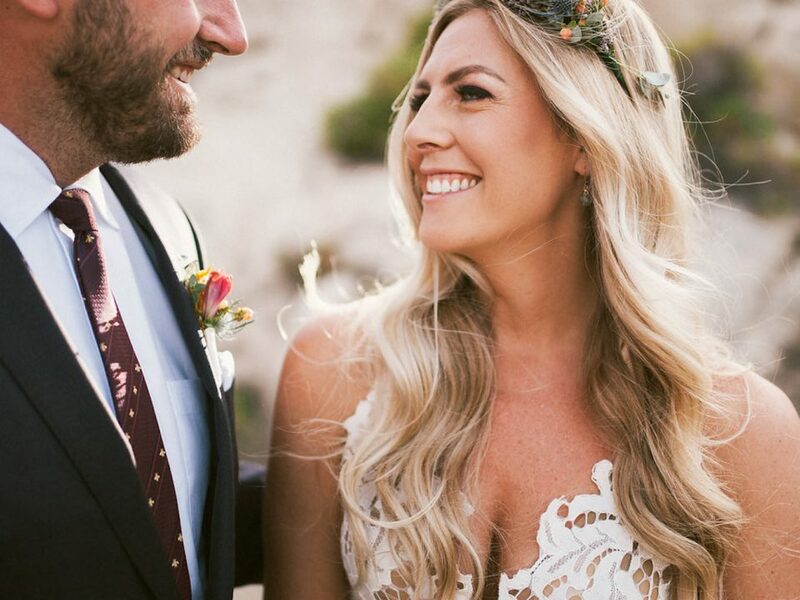 Oh and did we mention Justin and Bethany looked freaking AMAZING!? 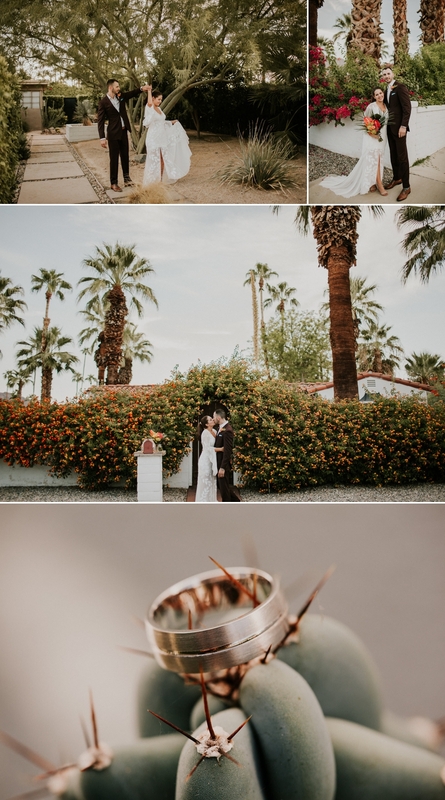 But don’t take our word for it because below are some of the images from their Palm Springs wedding day that was coordinated by the insanely talented Cara Goset of Michelle Garibay Events. Enjoy! 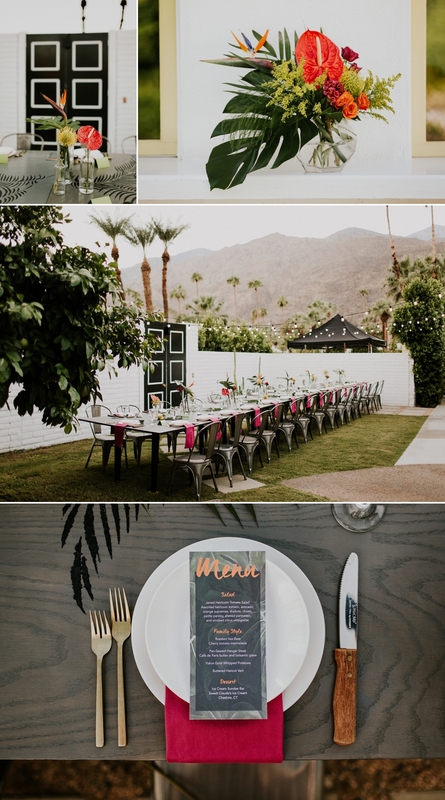 Overall the Palm Springs destination wedding was perfect. However, I did have one little regret and that was I forgot to buy my father’s favorite soft drink. 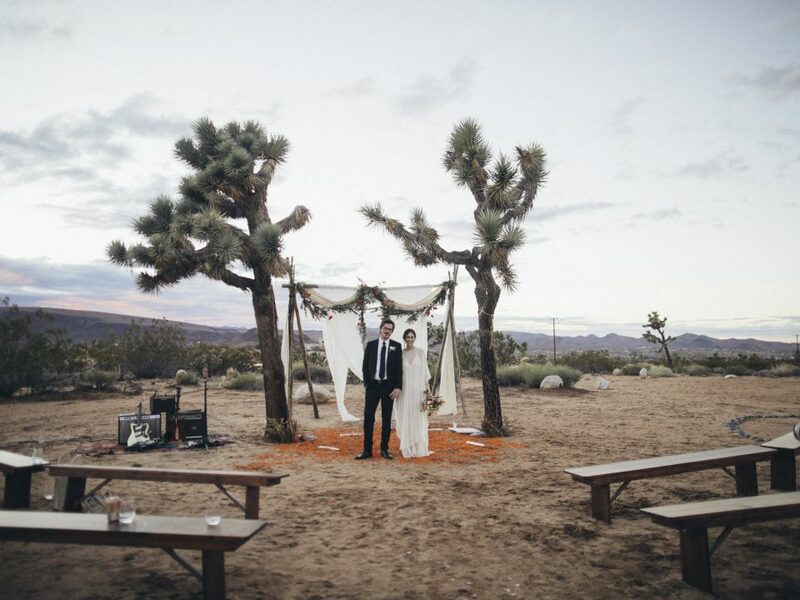 My father did so much to make everything on our wedding day possible, including building the tables. So I was disappointed that I didn’t remember to get his one special thing. Of course, the true gentleman he is he never mentioned it and didn’t care. 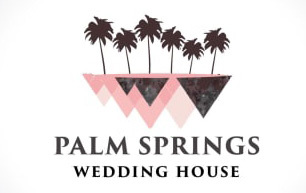 The biggest pain in the planning process was committing fully to having a wedding and not eloping. 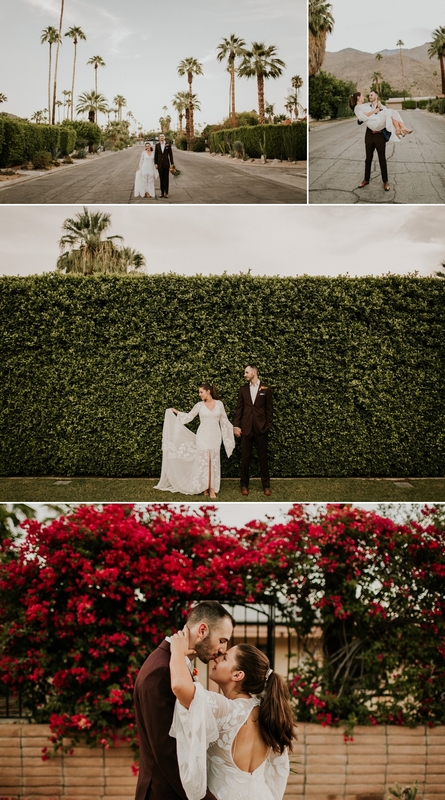 However, that ended up being a great decision because our small weekend wedding in Palm Springs gave me everything I wanted: lots of time with loved ones, personalized events, time for just the two of us and my aisle moment. 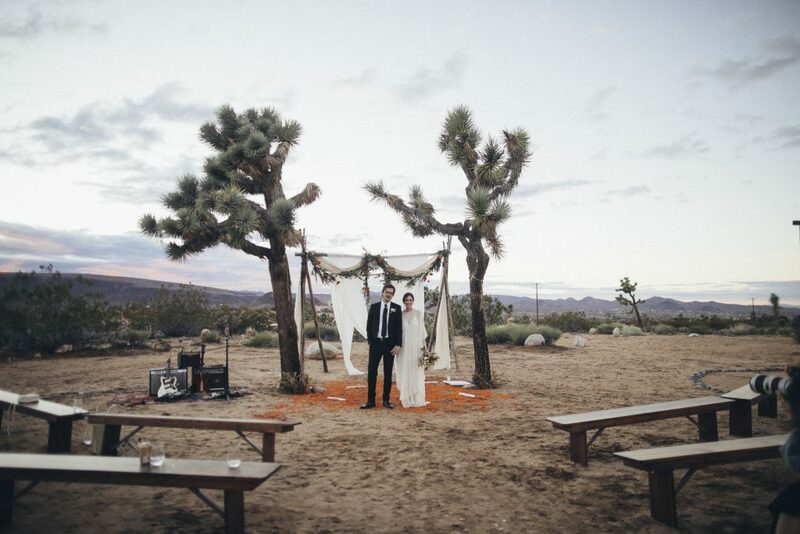 I don’t regret the decision to skip eloping for a small wedding at all.